Remodeling at Dome of the Rock sparks verbal holy war as Israeli authorities urge it be halted because it could cause irreparable damage, while Waqf officials forbid Israeli involvement. It began as a routine remodeling project: Muslim authorities replacing an old carpet worn thin by masses of worshippers at the Dome of the Rock, the iconic, gold-topped shrine that overlooks the Old City of Jerusalem. But there is no such thing as routine remodeling when it comes to the most contested piece of real estate in Jerusalem, where the presence of a mere screwdriver can threaten to ignite religious tensions. The carpet has sparked a verbal holy war over the hilltop compound, which is revered by Jews and Muslims whose competing claims often spill over into violence. Israeli archaeological authorities say the repairs were carried out behind their backs, and an Israeli government minister urged an immediate halt to the work, claiming it might cause irreparable damage. Frustrated Israeli researchers say previously undocumented ancient floor designs were discovered when the old carpets were peeled off, but they didn't get a chance to document the designs before workmen covered them up with the new carpet. And some researchers claim the Bible's deepest secrets may lie beneath some of the newly exposed floor designs. "Something is there. I don't know what. But something is hidden there," said Israeli archaeologist Zachi Dvira, who studies the site. Officials with the Waqf, the Muslim authority that administers the Al Aqsa Mosque compound, which includes the Dome of the Rock, reject the Israeli accusations. Sheikh Azzam Tamimi, the head of the Waqf, said the work is long overdue and has defiantly proclaimed that he was forbidding any Israeli involvement. "Our work in Al Aqsa is transparent," he told The Associated Press. "We are only putting down carpet and felt. Nothing more, nothing less." 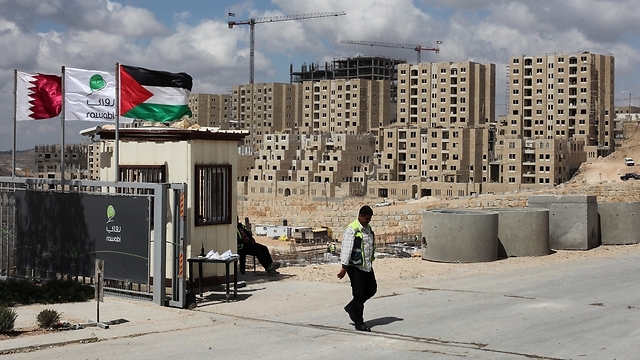 The work quietly began more than a month ago, and Israel facilitated the renovation project, said Jamal Al Quda, a member of a group of Jordanian carpet layers who received Israeli visas for the job. A packing list dated March 11 from an Egyptian carpet company to the Jordanian Embassy in Tel Aviv lists 80 bales of carpeting for the Marwani prayer area located at the compound, and the prayer area encircling the rock slab inside the dome. Jordan's King Abdullah II financed the project, according to Waqf. Israel captured Jerusalem's Old City from Jordan in the 1967 Mideast war, but under a longstanding agreement, Jordan remains the custodian of the area's Muslim holy sites. On a recent afternoon in a small cave underneath the shrine's rock, Al Quda dribbled Israeli all-purpose glue from a large tin onto an intricate stone tile decoration on the cave's marble floor. He said it was necessary to affix the base layer of thin dark felt before rolling out the carpet above it. Some Israeli archaeologists are alarmed about the glue used but Al Quda said the glue wouldn't damage the floor. "It comes off my hand," he said, rubbing his fingers. The cryptic geometric designs have sparked the imagination of some researchers about what secrets may lay beneath. Ancient Jewish traditions say the gold-cased Ark of the Covenant, which contained the Ten Commandments, may have been hidden away in a chamber when the First Jewish Temple was destroyed some 2,500 years ago. It's an Indiana Jones-type mystery that touches upon a holy grail for biblical enthusiasts. While Jerusalem may be the most excavated city in the world, the Dome of the Rock and its hilltop plaza are an archaeological gold mine that has never been properly dug because of the political sensitivities surrounding the site. The Dome of the Rock enshrines the large rock slab where Muslim tradition says the Prophet Muhammad ascended to heaven. Jews believe the rock may be where the holiest part of the two ancient Temples stood as early as about 3,000 years ago -- and where religious Jews pray a third Temple will one day be built. The adjacent Western Wall, believed to be the last remnant of the Temple complex, is the holiest site where Jews can pray. Palestinian officials reject Jewish historical ties to the site. The competing claims have spilled over into violence. In 1999, the Muslim authorities who administer the site dug an enormous hole 12 meters (40 feet) deep as part of construction for an underground prayer area, dumping 10,000 tons of earth in a nearby valley and an east Jerusalem dump. The director of the Israeli Antiquities Authority at the time called it an "archaeological crime." For years, Dvira and veteran Israeli archaeologist Gabriel Barkay have been leading a team of archaeologists and volunteers in combing through the dirt for historical finds. The initiative, called the Temple Mount Sifting Project, is conducted under the auspices of the Elad Foundation, a group that also purchases Arab homes in contested parts of East Jerusalem and helps move Jews in. Critics say this nationalist agenda should not mix with archaeology. Israel's state comptroller wrote a scathing report in 2010 about the Muslim authorities' illicit work projects at the compound and Israel's failure at enforcing supervision there. Israeli officials kept the report classified out of concern that its publication could harm the sensitive relationship with Jordan. 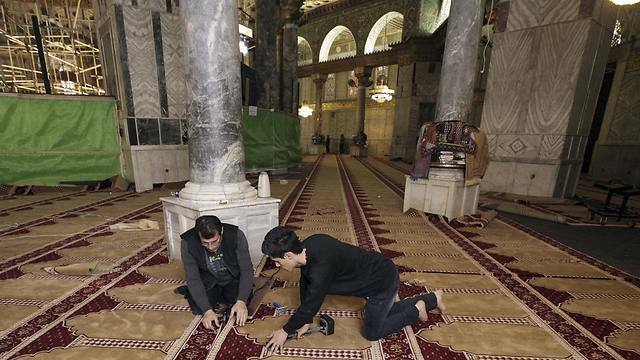 Tens of thousands of worshippers attend weekly Friday prayers, and the carpets have been replaced before -- most recently 12 years ago, at a time of heightened violence when Israeli antiquities officials were granted limited access to the site. Past renovation projects were done quietly behind the scenes. Leaked photos posted on social media sites -- combined with the political influence of Israeli nationalists monitoring the site -- drew extra attention and fueled the latest controversy. Last week, Israel's housing minister, Uri Ariel of Bayit Yehudi, sent an alarmed letter to Israeli Prime Minister Benjamin Netanyahu about the carpeting project. "There is no need to elaborate on how important this site is, where every modification, every excavation with heavy equipment can cause irreparable harm to the foundations of the Temple," Ariel wrote. Photos that were leaked to Facebook from the off-limits restoration site showed a number of geometric floor patterns never before documented by archaeologists, said Frankie Snyder, a researcher with the Temple Mount Sifting Project. Some apparently date to when the Crusaders controlled the complex in the 12th century, she said. "I'm worried about damage of the original floors," said Barkay, the archaeologist. "The patterns were never properly documented." 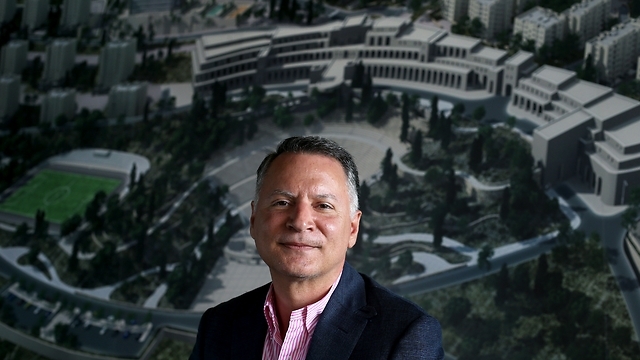 Israel Hasson, the director of the Israeli Antiquities Authority, said once the government body learned about the renovation, it made arrangements with the Waqf to send an archaeologist to document some of the floor patterns, but others already had been covered by the maroon and beige carpeting. "We got to part of them. We didn't get to it all. I won't ask anyone to pull up the carpets to document it," Hasson said. "We will wait for the next opportunity. We're sure to be here over the next 2,000 years." The UN does not have any evidence that rebuilding material bound for Gaza is being used for anything other than civilian purposes, James Rowley, the Deputy UN Envoy to the Middle East, said on Sunday morning. 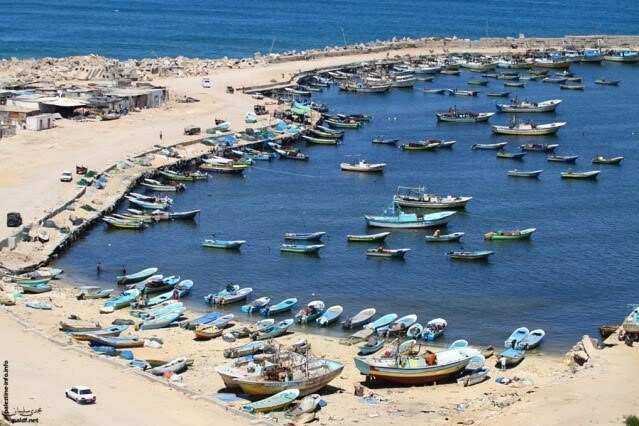 In an interview with the Israeli Richt Beit Radio, the UN official said even in the ensuing black markets, material entering the blockaded coastal Strip was used to help rebuild houses destroyed during last summer’s military aggression on Gaza. He denied claims that talks have been underway between Hamas and the UN to conclude a long-term truce accord in Gaza. Rowley called for speeding up the reconstruction process, adding that steps have to be taken to lift the blockade on Gaza. Over 16,000 homes were turned into rubble and some 100,000 homes sustained partial damage in last summer’s Israeli offensive on the besieged coastal enclave. The Israeli Housing Minister Uri Ariel has sent ”an urgent letter” to Israeli Premier Benjamin Netanyahu demanding a stop to the Palestinian restoration works in al-Aqsa Mosque, Israeli Hayom newspaper said Tuesday. Ariel’s letter came shortly after the Islamic Waqf Department declared intention to carry out excavations to replace the carpets of the Dome of Rock, the newspaper said. He said that the work is being done without permission and was illegally organized, and therefore the Israeli police should stop the work as soon as possible. According to the letter, the scope of work being undertaken is unprecedented and requires review and approval of the ministerial committee for an archaeological dig in holy places. 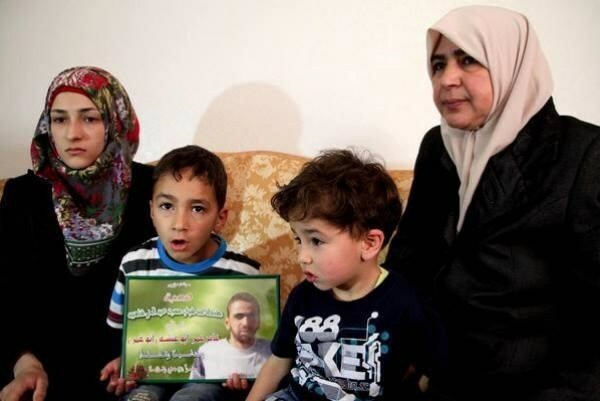 The Israeli occupation forces (IOF) on Sunday stormed the home of the Palestinian martyr Amer Abu Eisha in the southern West Bank city of al-Khalil and handed his family a notification banning the reconstruction of the destroyed building. A PIC correspondent quoted local sources as reporting that the IOF soldiers stormed al-Seir area in al-Khalil in a flock of army jeeps, moments before they broke into Abu Eisha’s home and handed the family an order forbidding them from rebuilding their demolished house. The assault generated a state of panic among women and children. No arrests among Palestinian citizens have been reported. Earlier, the IOF knocked down Abu Eisha’s family home in the wake of the death of three Israeli soldiers in al-Khalil in June 2014. Both Abu Eisha and his friend Marwan al-Kawasmi were killed on September 23, 2014 at the hands of the IOF. Both men were accused of killing the soldiers. The Israeli occupation authorities (IOA) at noontime Tuesday knocked down the foundations of three Palestinian residential apartments in Jabal al-Mukabir village, in Occupied Jerusalem. Sai’d al-Abassi said a flock of Israeli bulldozers, escorted by special army forces, demolished the foundations of three residential apartments under construction, belonging to his two sons and brother. The Israeli municipality knocked down the buildings without prior notices, he added. A few hours earlier, the Israeli bulldozers turned four horse corrals and a children’s playroom owned by the Jerusalemite citizen Hani Toteh to rubble. The demolished rooms, covering some 80 square meters in total, were legally built 25 years ago. The Israeli occupation forces (IOF) on Sunday stormed a chain of agricultural stocks under construction in Jenin’s town of Ramana and expelled all the workers who were inside the building. Local sources said the IOF soldiers deployed at the adjacent Salem military camp have been staking out the building moments before they broke into the area and threatened to demolish the storehouse allegedly under a military command. The IOF soldiers turned down the appeals of the storeowner, Ghassen al-Akr, who said he has been doing his work on legal grounds. The IOF further stormed southern Jenin and interrogated Palestinian passers-by. Locals said the IOF troops cordoned off Yabad town and pitched a makeshift military checkpoint at its main entrance, where a number of Palestinian vehicles were stopped and searched. Scores of Palestinians were subjected to exhaustive field interrogation in al-Aja town moments after a flock of nine army jeeps raided the area and stationed at its center. Israeli authorities delivered a notice to halt construction on a concrete factory, as well as on a home and agricultural road, in the Hebron district late Thursday. 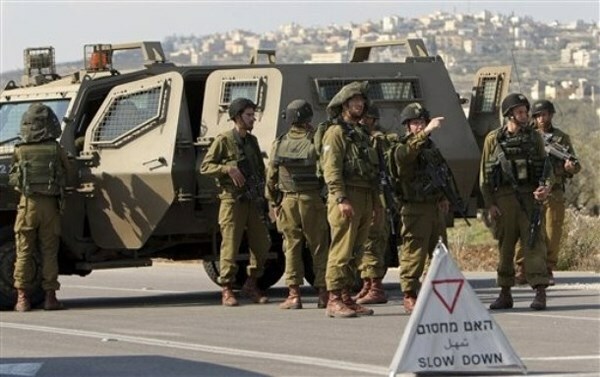 Coordinator of a local popular committee in southern Hebron, Rateb al-Jubour, said that Israeli forces raided the al-Bweib area in eastern Yatta late Thursday to deliver the stop-work notices. The home belonged to Ahmad Muhammad Hassan Daajneh. Al-Jubour condemned the ongoing systematic attempts by Israeli forces to deport Palestinians from their lands, calling on all humanitarian and international institutions to intervene to end such procedures. Thursday's raid came just days after Israeli forces delivered notices to halt construction at Palestinian residences in the same area, raiding the Deir Moussa area in northwestern Surif in order to deliver stop-work notices to six houses. Additionally, in the villages Khirbet al-Fakhin and Khirbet Janba in eastern Yatta, coordinator of a local popular committee, Rateb al-Jubur, reported this week that Israeli forces and the Israeli civil administration had delivered notices to demolish three rooms and a tent belonging to Muhammad Mahmoud Hushiyeh, Issam Muhammad Makhamreh and Ali Muhammad al-Jabarin. An Israeli army spokeswoman did not have any immediate information on the incidents, but told Ma'an that the Israeli army issues such notices when residences are built "illegally." Palestinian residents throughout the Hebron district face a continual threat of demolition or displacement. Al-Bweib and other villages that recently received stop-work orders are located in the south Hebron hills, where the illegal presence of around 3,000 Israeli settlers comes at the expense of Palestinian residents' ability to build homes and infrastructure. Building permits must be approved by Israeli authorities in order for construction to take place in the villages, which are classified as Area C under the Oslo Accords, giving Israel full military and civil control. As a result of rarely-approved permits, Palestinian residents are forced to build structures without permits, which are liable to be torn down later by Israeli forces. While settlements in the south Hebron hills, in addition to six Israeli outposts, are supplied electricity by Israel, Palestinian villages have been refused access to the power lines that crisscross their land, and Israeli forces have torn down at least three attempts to connect to the Palestinian Authority electrical grid. The Israeli practice of preventing either construction or expansion of Palestinian buildings in the Hebron area extends across the occupied West Bank and East Jerusalem. 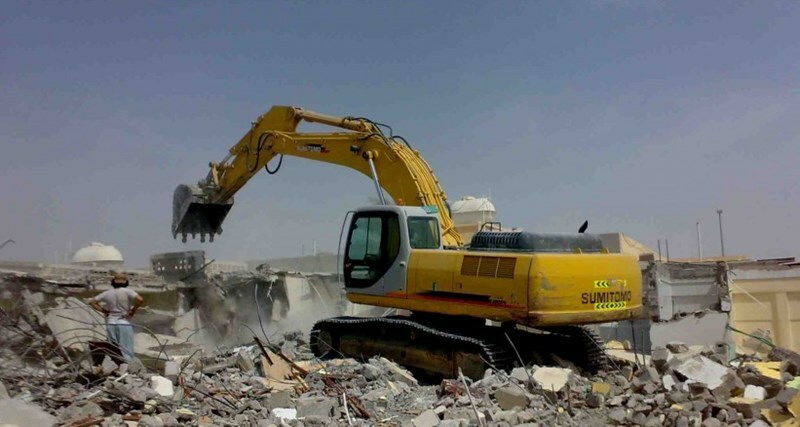 Around 552 Palestinian structures have been demolished since the start of 2015, according to the Israeli Committee Against House Demolitions. 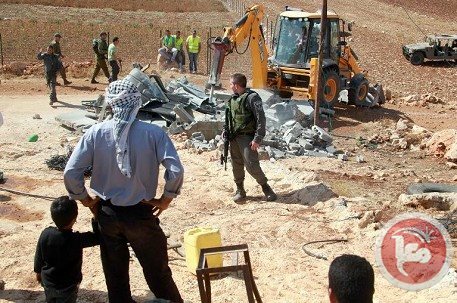 The Israeli occupation authority (IOA) on Monday ordered four Palestinian citizens in Beit Ummar town, northwest of al-Khalil city, to halt construction works in three houses and one workshop. A spokesman for the popular resistance in the town told Quds Press that employees from the Israeli army's civil administration escorted by Israeli soldiers handed Mohamed Alqam written notification ordering him to stop construction works in his house, where he and his family have been living for about five years. The employees also handed similar construction freeze orders against two houses and one workshop for automobile spare parts belonging to citizens related to Alqam. The property owners were also told to attend a court hearing in this regard to be held in Beit El settlement in mid-April. The Israeli army justified its action by claiming that those structures are located near Gush Etzion settlement compound. In an earlier incident, Israeli municipal employees on Sunday delivered administrative demolition orders against five Palestinian homes in Ein Loza neighborhood of Silwan district, east of Jerusalem. For its part, the Islamic Christian Authority for Patronizing Jerusalem and the Holy Sites issued a statement on Monday condemning the new demolition orders against Palestinian homes in Silwan as "part of Israel's Judaization scheme in the holy city." The Islamic Christian Authority also charged Israel with blatantly violating Article 53 of the Fourth Geneva Convention that prohibits any destruction by the occupying power of real estate or personal property belonging individually or collectively to civilians. It appealed to the international community to urgently provide protection for the Palestinian population in the occupied territories, especially in Jerusalem, and pressure Israel to stop its demolition of Palestinian homes and property. IOA blocks the establishment of a mosque in J.V. The Israeli Occupation Authorities (IOA) have issued a military order on Sunday blocking the establishment of a mosque in the Jordan Valley. Local and official sources reported that the Israeli Construction Authority handed over local residents of Kardala town in the Jordan Valley a notification preventing them from completing the construction of the sole mosque in the town under the pretext of being built without permit. Israeli occupation forces (IOF) had earlier stormed the town and confiscated a bulldozer used for the mentioned mosque construction, the sources added. Meanwhile, IOF soldiers have deployed in large numbers late Sunday evening in the evacuated military site of Sanur to the south of Jenin. A military make-shift checkpoint was also erected at the road leading to Jaba’a town near the military camp. 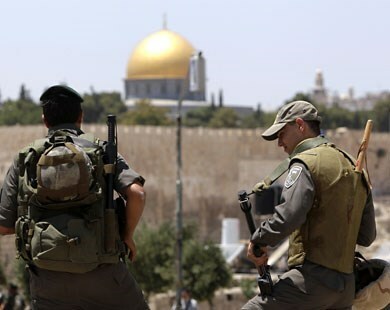 Eyewitnesses reported that Israeli troops stormed the area while military exercises were still ongoing in the same area over the past few days. The military site of Sanur was evacuated in 2005 along with a number of settlements in Jenin. Also in Jenin, IOF soldiers carried out at dawn Monday a raid campaign in Araba, Markeh, and Yabad towns south of the city. The PIC reporter quoted local sources as stating that five military vehicles stormed Araba town at dawn today for few hours. A 24-year-old young man was arrested during the raid after breaking into his parents’ home. Markeh town also witnessed a similar raid and intensive deployment of Israeli soldiers who erected a make-shift checkpoint at the nearby Jenin-Nablus road. The United Nations Palestine refugee agency UNRWA, on Sunday, inaugurated the first school associated with the organization to be built in the Gaza Strip since Israel's summer assault laid waste to hundreds of educational institutions. 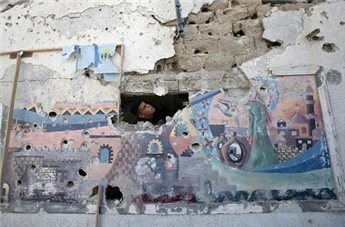 The Khuzaa Preparatory School was inaugurated Sunday, according to Ma'an, and is the first of several schools the agency plans to build across the tiny coastal enclave, which saw homes, schools, and places of worship targeted repeatedly by Israeli bombs during the July-August offensive. 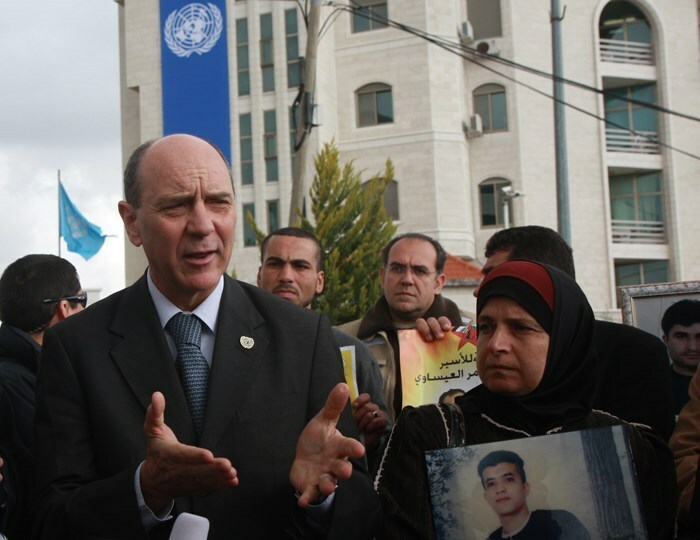 UNRWA commissioner-general Pierre Krähenbühl was present at the inauguration on Sunday, where he delivered a short speech urging the international community and donor organizations to fulfill their pledges to help rebuild Gaza. The school is located in the town of Khuzaa, east of Khan Younis and near the Israeli border, an area severely damaged by Israel during the assault. More than half of all homes in the town of around 10,000 were flattened by Israel. Many in the area still live in temporary housing as they wait for Israel to allow more reconstruction material into Gaza, which has been under an Israeli blockade for the last eight years. The school in Khuzaa is one of the first to go up to hopefully replace the more than 200 schools that sustained extensive damage due to Israeli bombing. More than two dozen schools were completely demolished by Israeli attacks, while at least 232 were damaged. During the war, hundreds of thousands of displaced Gazans sheltered in UN-run schools. As a result of Israeli attacks on the schools, scores of Palestinians were killed. UN officials complained that the killings occurred despite the fact that they had given the exact coordinates of the schools to Israeli authorities. In total, more than 2,200 Palestinians were killed during the assault, around 11,000 were injured, and more than 100,000 were left homeless. 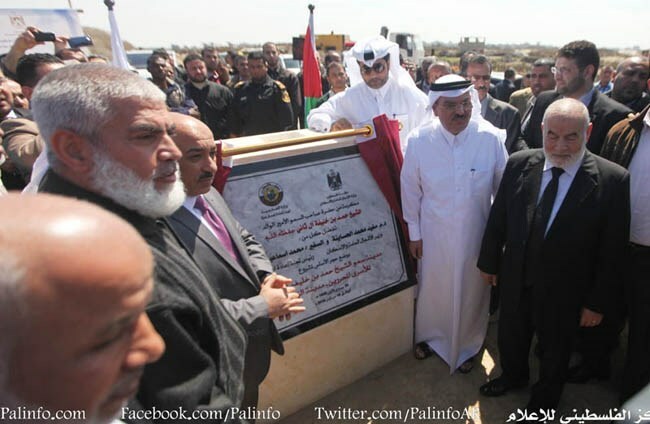 The Ministry of Public Works and Housing and the Qatari Committee for the Reconstruction of Gaza on Monday laid the foundation stone for the Hamad city for detainees and ex-detainees in southern al-Zahra province in Gaza Strip. Head of the Qatari Committee for the Reconstruction of Gaza, Ambassador Mohamed al-Imadi, Palestinian Housing Minister, Mufeed al-Hassayna, and PLC deputy speaker, Dr. Ahmad Bahar, along with dozens of ex-prisoners attended the ceremony. The 28-building city covers some 120 dunums, donated by Sheikh Hussein Freih Abu Middain, and comprises 260 residential units. Qatar’s Al-Imadi said the city of detainees and ex-detainees comes in the lead of Qatari projects funded by the former Emir of Qatar Hamad Bin Khalifa to boost up the Gaza rebuilding process. For his part, the Palestinian Minister of Public Works and Housing Mufeed al-Hassayna dubbed the inauguration ceremony a promising step and a new start. He also hailed the Emir of Qatar Sheikh Tamimi Bin Hamad for following his father’s pro-Palestine footsteps and fulfilling his Gaza aid pledges. PLC deputy speaker, Dr Ahmad Bahar, meanwhile, paid homage to the state of Qatar for its bigheartedness and unyielding back-up of the Palestinian people in the humanitarian, social, political, and economic fields. “The fact that Qatar has always supported the Palestinian cause in Arab and international forums is a proof of the deep fraternity bonds between the Palestinian and Qatari peoples,” he said, congratulating Palestinian prisoners for the launch of such a significant bid. Speaking on behalf of detainees and ex-detainees, ex-prisoner Rawhi Mushtaha branded the foundation ceremony as one that marks Palestinians’ loyalty to the State of Qatar, which has always stood by Palestinians. “Paying tribute to Qatari people and Emir is the least prisoners and ex-prisoners can do to express their heartfelt gratitude,” he added. A political battle to install a water pipeline for the first planned Palestinian city of Rawabi is now over, with Palestinian American entrepeneur finally able to reach his goal of establishing a beautiful city in area A of the West Bank. The popular committee for lifting the Gaza siege Sunday laid the foundation stone for a new waterway to the Gaza Strip, in a move aimed at setting the stage for the launch of the first sea trip, carrying injured Palestinians onboard, from Gaza. 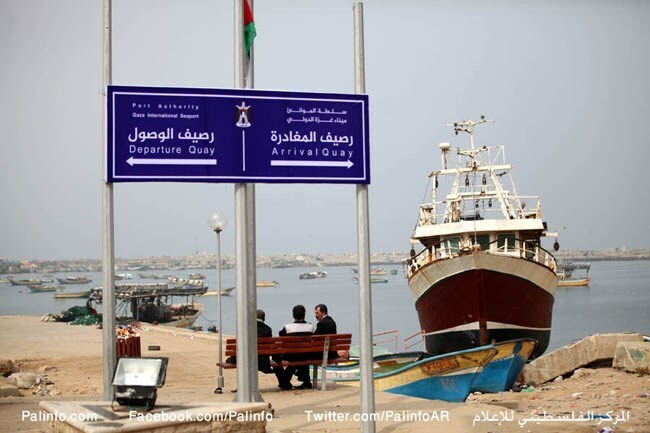 At a press conference held at the existent Gaza Port, member of Palestinian National Commission to Break the Siege Ashraf Abu Zayed said that the new port would be "Gaza's window to the world" and a step towards lifting the blockade once and for all. 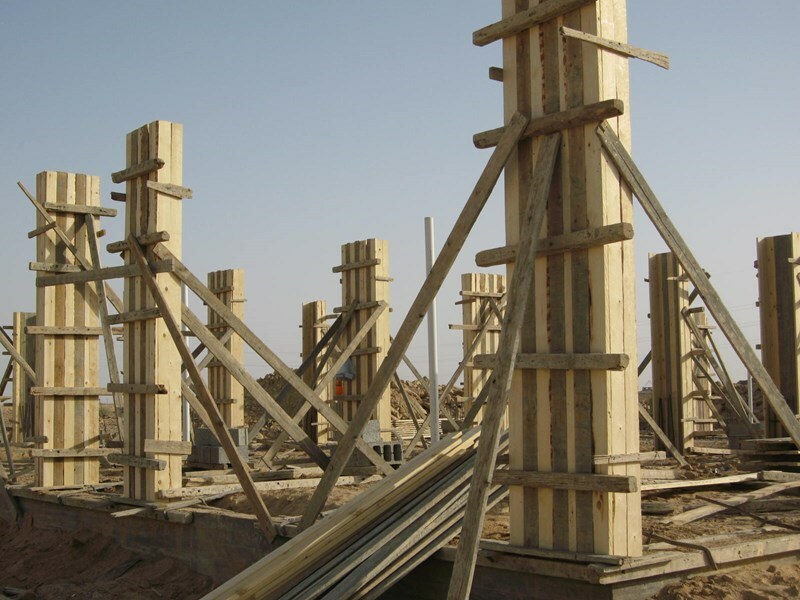 He also announced that contractors will soon begin construction of an "international port" in the Gaza Strip. "We've contacted several European ports and they agreed to the construction of a port in Gaza," Abu Zayed said. He added that the commission is currently working on restoring one of the ships "in order to transport patients for treatment abroad in the first trip to break the siege on the Gaza Strip." Spokesperson for the committee, Alaa al-Bata, confirmed the piece of news, saying the voyage will be the first of its kind. The opening of a watercourse is Palestinians’ legitimate right guaranteed by international laws and the Oslo agreement, he added. A series of banners, referring to the locations of the passport stamps, registration, and departure, has been posted by the committee. An Egyptian brokered ceasefire accord, signed between Hamas and the Israeli occupation in the wake of the notorious Israeli 51-day-offensive on Gaza, called for Palestinians’ right to establish a watercourse, as one of the resistance's demands. Dweima further called on the Egyptian authorities to unblock the Rafah crossing permanently, and urged the world’s activists to work on lifting the Gaza siege before it is too late. The governmental Committee to Break the Siege on Gaza declared Monday the beginning of the rehabilitation of a waterway that would link the Strip with the outside world as a prelude for the establishment of an international port. Head of the committee Aladdin al-Batta confirmed in a press conference that he has made contacts with the Free World and human rights organization to support the idea. He called on the unity government to start coordinating in this matter after receiving full approval from different areas in the world. Al-Batta pointed out that a large boat would sail soon from Gaza carrying a number of patients who are in urgent need of treatment abroad. Israel continues to close Gaza’s five border crossings, while Rafah crossing, with Egypt, has been opened for only 100 days during 2014, he said. Many international and regional committees to break the siege on Gaza showed support for the establishment of a waterway in Gaza as a clear legitimate right, al-Batta stressed. He added that both Oslo accords in 1993 and Sharm el-Sheikh agreement endorse the Palestinian right to establish a waterway, calling on the Free World and the European Union to support the waterway idea and to lift the siege on Gaza.